When it comes to collectible figures and toys we always turn to Hong Kong based Hot Toys for our fix. They’ve built up a solid reputation because of the quality, likeness, and the crazy level of details that are put into their toys! 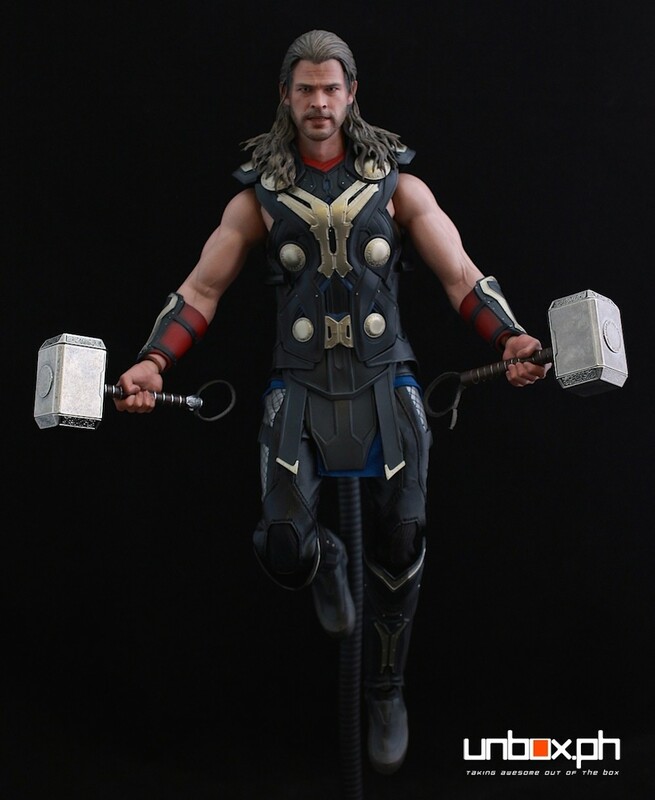 One of their newest offerings is the Thor Light Asgardian Armor Version 1/6th Scale Figure from the movie Thor: The Dark World movie. 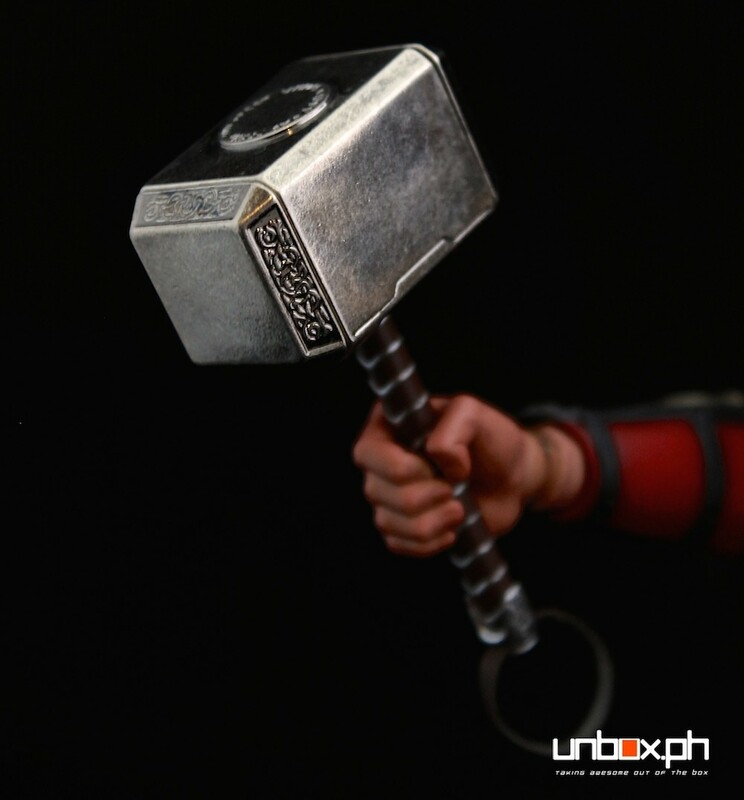 We recently got out hands on it and without a doubt we can say that this is the best Thor collectible we’ve ever seen. 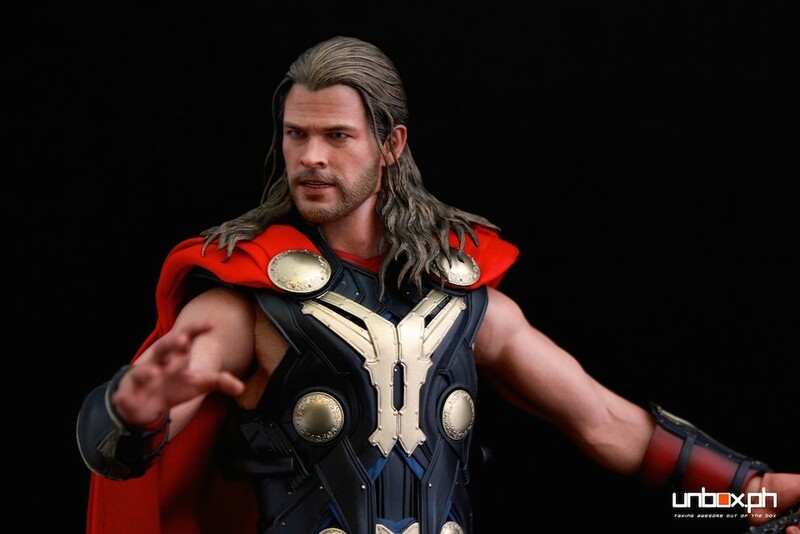 It totally trumps the previous figures of Thor made by Hot Toys (from Thor and The Avengers movies) and can easily go toe-to-toe with the best Iron Man figures out there in terms of quality, likeness, and articulation. So what makes this figure so awesome? 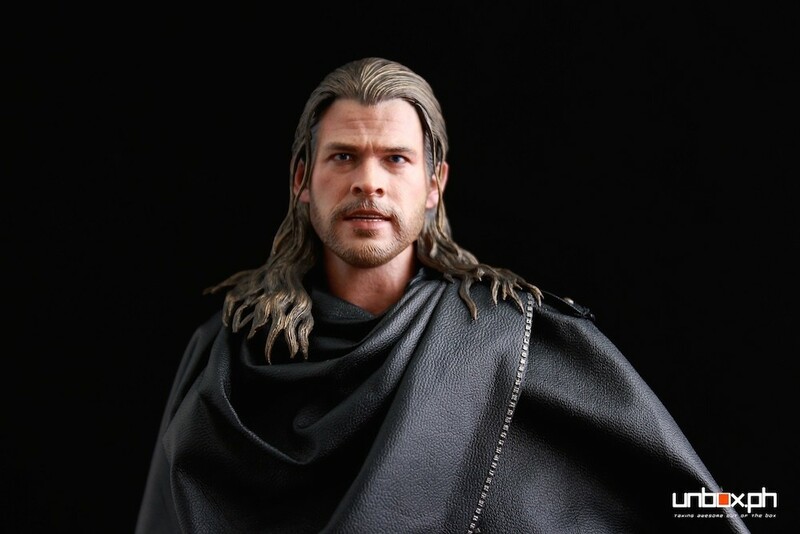 First is how insanely similar the face sculpt looks like Chris Hemsworth! They got everything from the eye brows to even the facial hair. I can’t imagine how much effort and work was put into sculpting the smaller details of the face but it’s definitely something we appreciate. 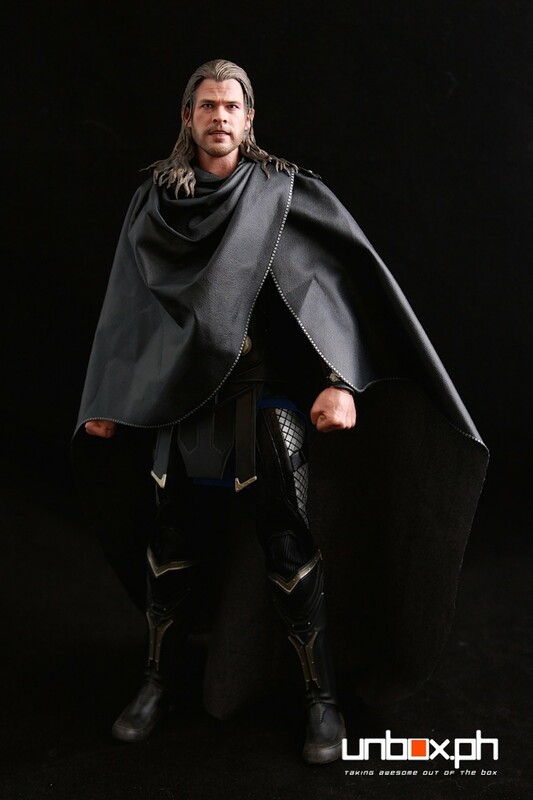 Secondly we love the three different looks of Thor that you can get because of the black poncho and the removable red cape. 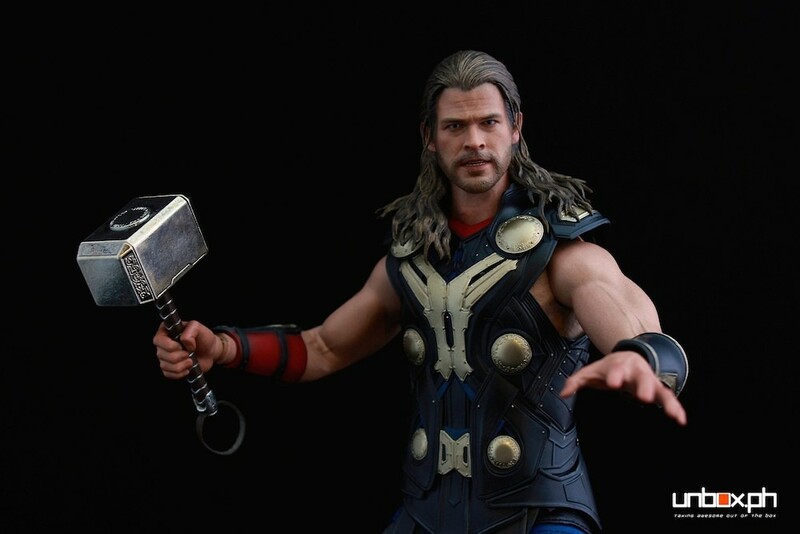 You can have Thor partially covered with the poncho, with his trademark red cape, or just with the armor without the cape and the poncho. Check out the photos we took of the three different styles below. With his trademark red cape. If you take a closer look at the armor pieces you’ll also notice how intricate and complex the designs are. 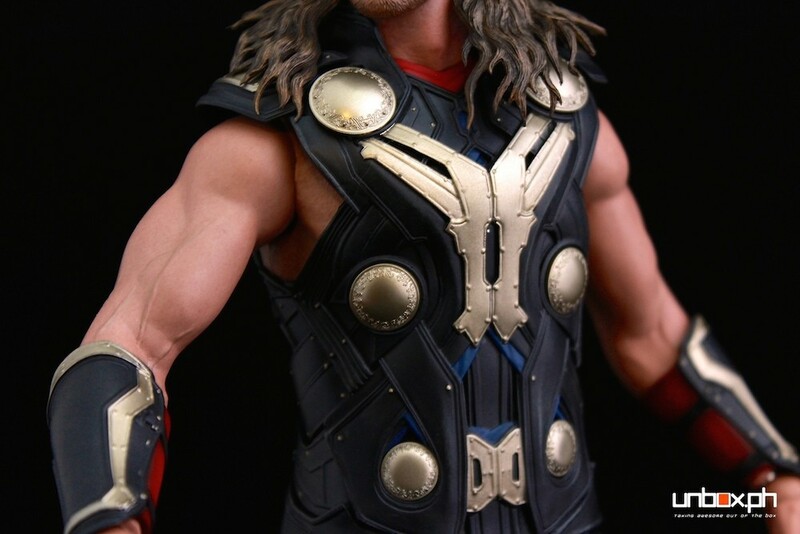 It’s very similar to the one that Thor actually wears in the movie. 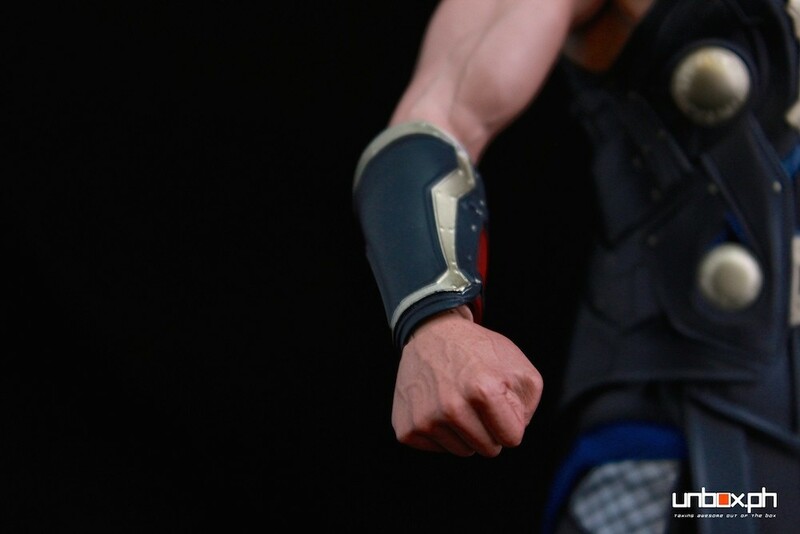 Here are some close ups shots of the different parts of the armor as well as Thor’s weapon, the mighty Mjolnir. 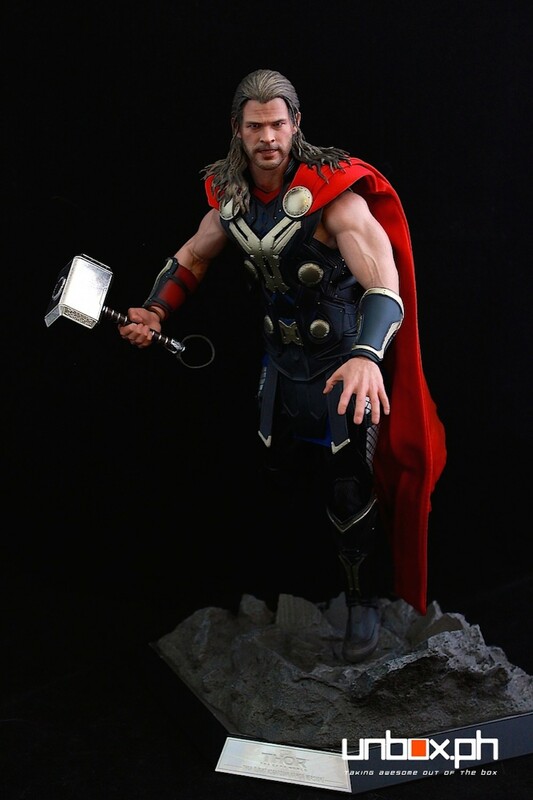 Together with the hammer and rock from the first Thor figure. 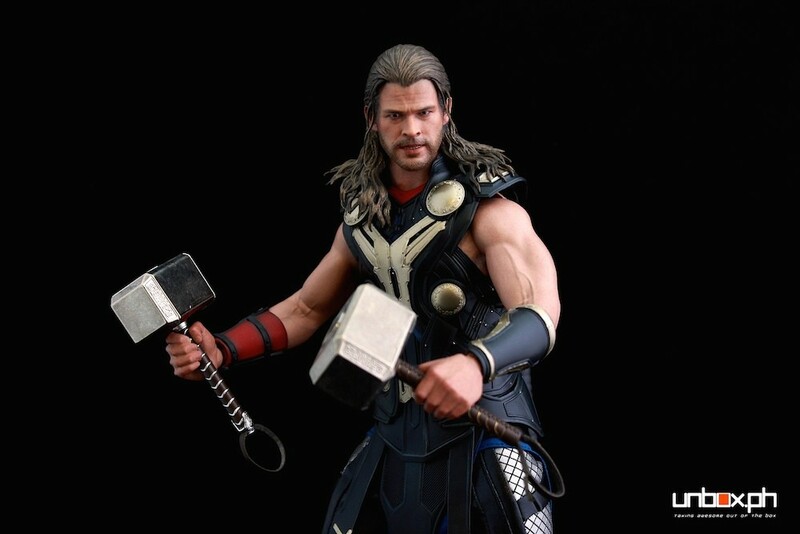 Dual hammer wielding Thor. Saan ka pa?! One more shot of that double hammer Thor. 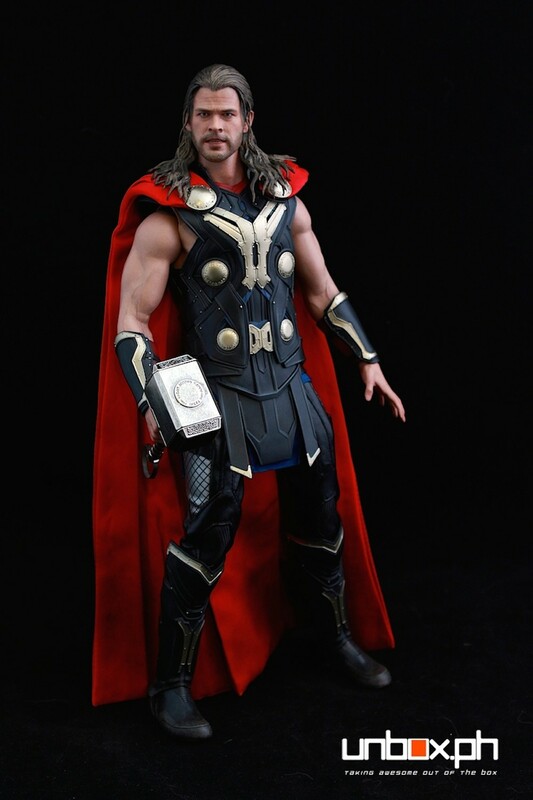 Thor lost his hammer so I guess this will have to do… lol! 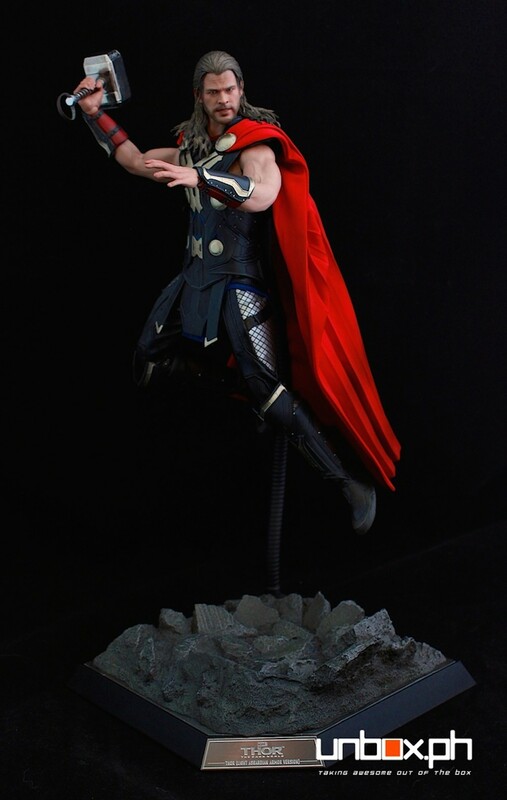 Definitely a wonderful addition to our collection as this is the best Thor figure we’ve seen in the market so far. 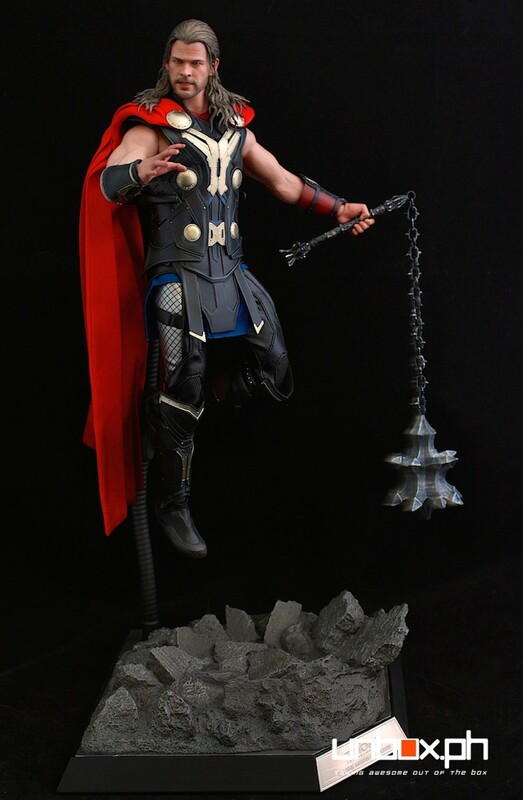 Props to Hot Toys for giving the God of Thunder much needed justice (the first two Thor figures were just so horrible). 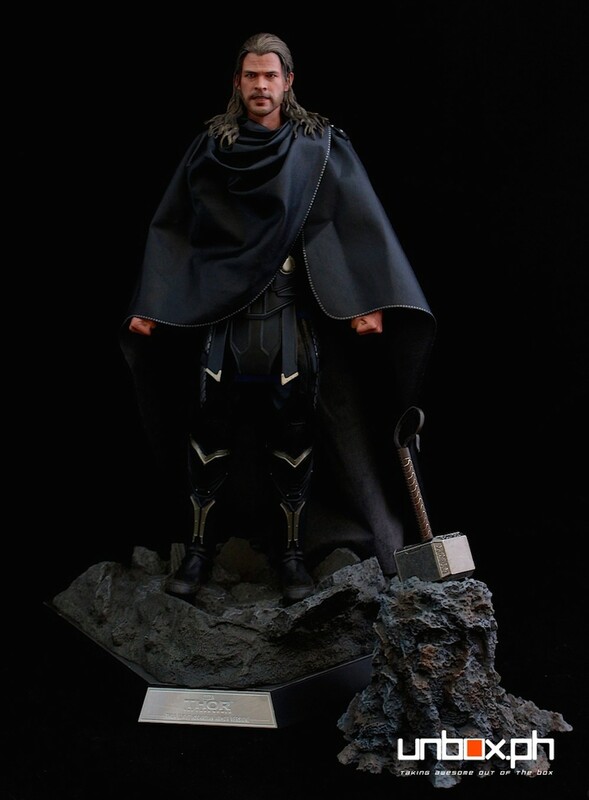 Other than Thor, Hot Toys is also making another Loki figure from Thor: The Dark World. We’re hoping that they come out with another Odin (the first one was crap), Malekith, and probably Heimdal! 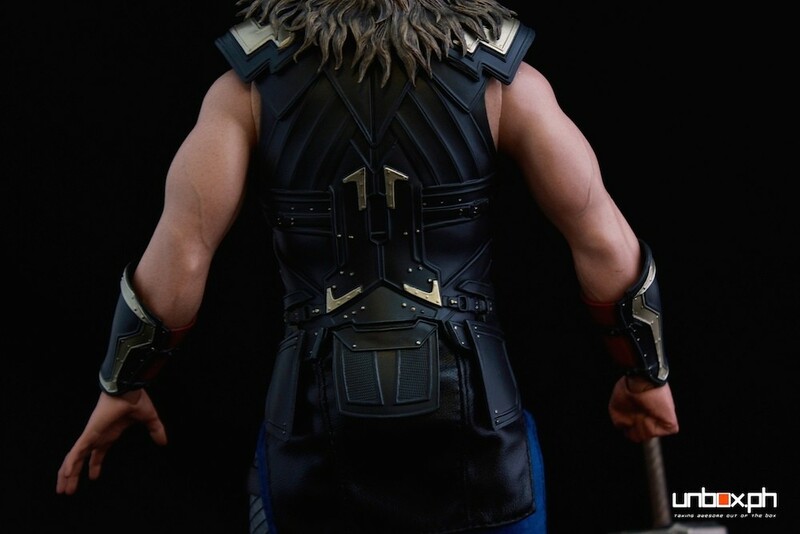 The Thor Light Asgardian Armor Version 1/6th Scale Figure is not yet being sold by local toy shops but it’s already being offered by a few online sellers. Thank you Drew Tan from POSK for getting us one! The unofficial price right now plays around Php14,000-Php18,000. Previous articleHot Toys Unveils Groot and Rocket 1/6th Scale Figures! Next articleDC Universe Online Now Available in South East Asia!